In May the butterflies of the spring generation, with orange and black-patterned upper wings, flittered around at the verges of forests and roads.. The females laid their eggs on nettle leaves in the beginning of June. 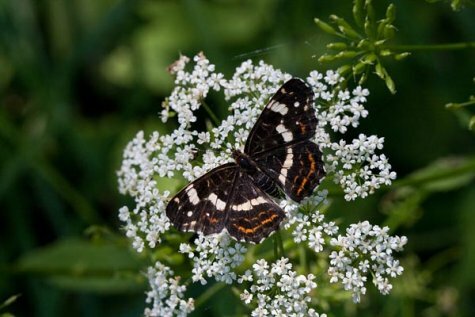 From the eggs black, hairy caterpillars hatched that fed on the nettle leaves, then went into the pupa stage for a week and now the second generation can already be seen – they have black, white-flecked upper wings. In addition to the colours there are other minor differences between the generations. 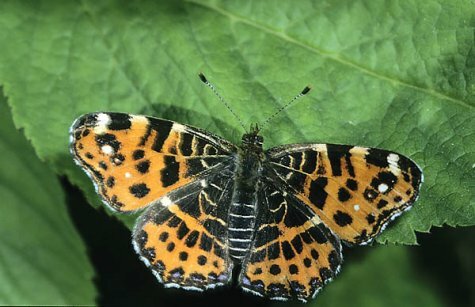 The autumn generation butterflies are larger, the wing shape is slightly different and the body colour has darkened as well as the colouring of the wings. When a species has different-looking individuals in spring and autumn scinetists call it seasonal dimorphism.